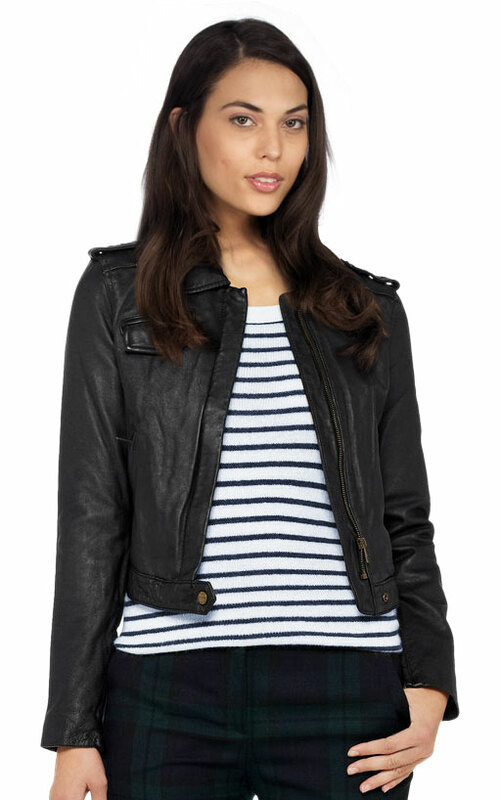 This short motorcycle leather jacket makes a trendy wear for the weekend getaway. 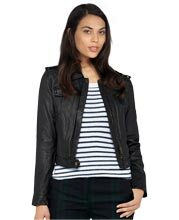 Angled zip pockets on the front perfectly contrast a concealed zip fastener, while offering practicality on the go. Metal snap button epaulettes at key areas like shoulder, collar and hem act as accents giving the overall apparel an edge to it. The meticulous seam detailing ensures fit and finish, assuring the wearer a flattering look.